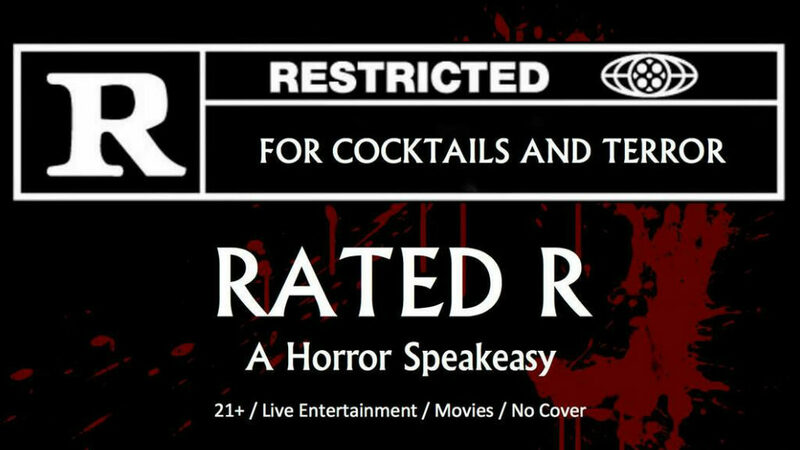 Produced by actor/writer/director/producer Graham Skipper and Justin & Melissa Meyer of Meyer 2 Meyer Entertainment (Los Angeles Haunted Hayride), RATED R is an upcoming horror themed pop-up bar that we are dying to see! For one night only on Friday, March 29th RATED R will be a haven for horror fans & filmmakers to get together, share some drinks, watch scary movies, listen to horror movie soundtracks, and more! Aerial Bartenders will serve themed drinks from overhead, masked go-go dancers and roaming monsters will keep you on your toes, horror films will play on the big screen, all while DJ Jonah Ray (from Netflix’s MST3K) spins songs to keep you dancing. RATED R is also partnering with Shudder to be the official West Coast Viewing Party of The Last Drive-In with Joe Bob Briggs (show begins at 6pm)! Our heads are spinning from all the details, and we’re sure it will be a night horror fans won’t want to miss. See you there! The pop-up will be located in Glendale, CA at a location to be disclosed on the day of the event. Make sure to sign up at www.ratedrspeakeasy.com to receive the email with the secret location!